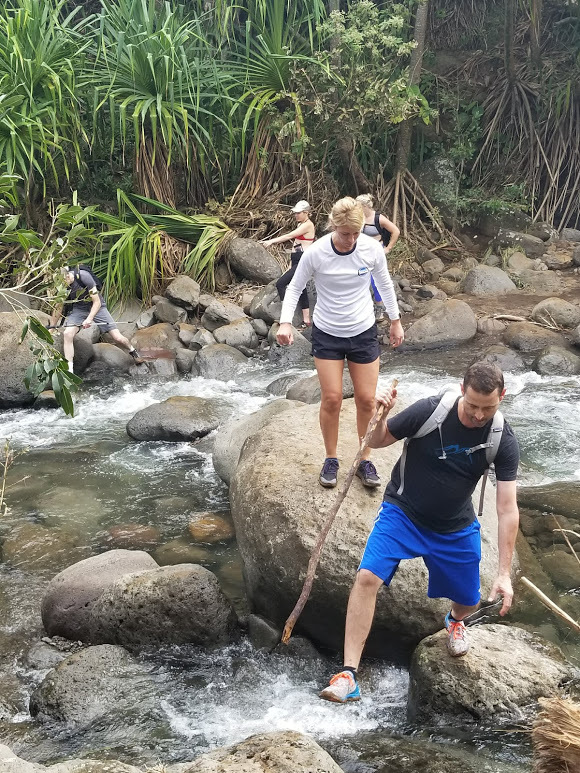 Being on the most remote landmass in the world, Hawaii… and on vacation (yes I’m pretty friggin lucky) I gained some insight I wanted to share. I just got home Monday. A few stories… and hopefully these little stories can help you. I’ve seen fishing on the ocean shoreline before and I always wanted to try it. So one day… I did. Went to the store, bought me a pole… asked a few locals how to fish and did it. I went “all in”… COMMITTED. Caught 3 fish. 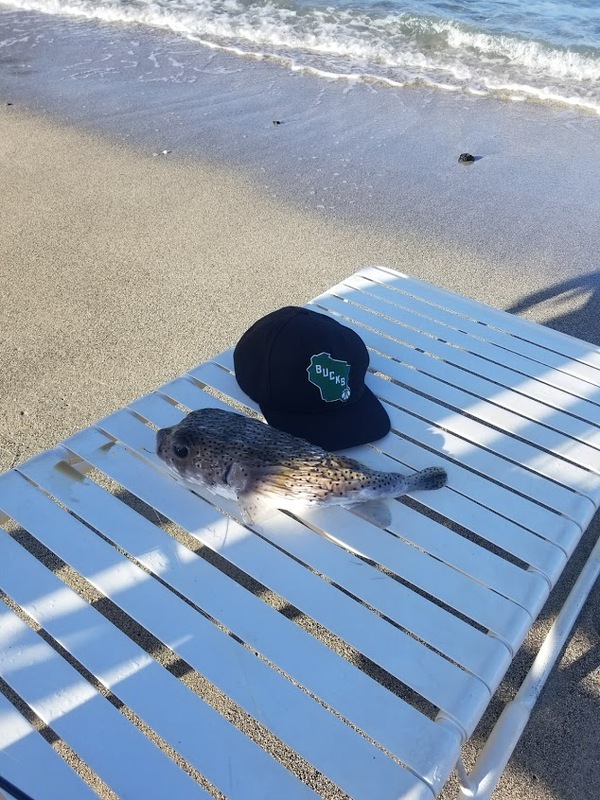 A triggerfish, a goatfish and this, ugly as sin, puffer fish. Grunted at me like a pig! Next I went golfing. I haven’t golfed much in the last couple of years. I truly told myself no matter what I would enjoy the trip. I’d break each shot down into, not good, good enough, good, and OH WOW GREAT! Not every shot can be perfect. It helped my emotions greatly! Also, I looked at every shot and said to myself after, “Did I commit?”– meaning did I totally believe in myself and my swing/putt/chip when I was doing it. If I had committed 100% almost all of my attempts were good. When I didn’t… that is where I struggled. The fear, confidence, etc I lacked at those moments showed in where that ball flew! If I had confidence in myself and committed… when I just played to my ability and didn’t think… the results were good! 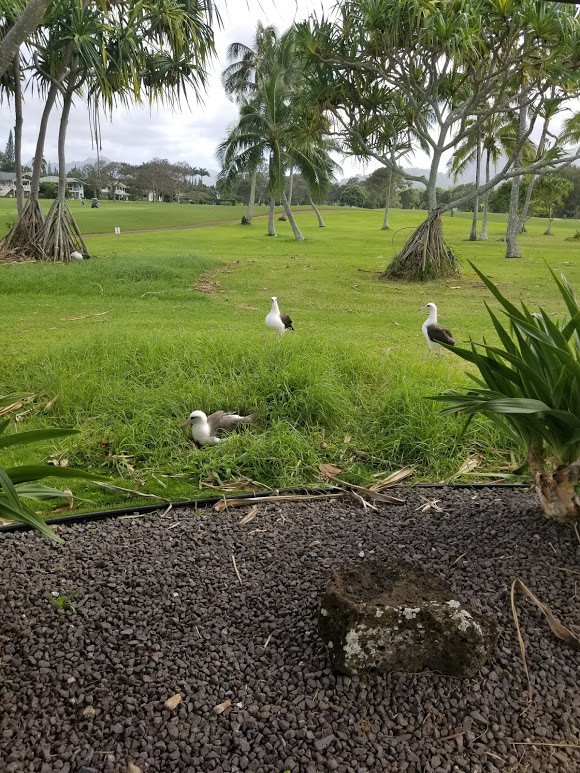 I saw some Albatrosses golfing. They are like eagles but act more like chickens. Weird bird! Very cool! One of the last things we did was take a 9 mile hike on the Napoli Coast. It is rated one of the best trails in the world. It lived up to our expectations! Maybe 10 times we had to navigate gushing streams and rivers, we had to cross them. We had to rock climb, scale rocks. For 9 miles you had to think about each step. I struggled at times crossing the river… not because I am in bad shape or couldn’t. It was F E A R. I wasn’t COMMITTED. There was that word again. I’d get 1/2 way across and kind of get stuck on a rock. My mind would say, take that rock, no that rock, no just put your foot in the water. I wasn’t COMMITTED. The BEST way to do it was just TRUST YOUR BODY AND MIND AND GO! WHEN I DID THAT… IT WORKED AWESOME! Craig Johnson COMMITTED. Great golfer, even better hiker! I guess I share this… because I think there is probably something in life you have to commit more to. Maybe it is your career at Drexel. If you are not 100% committed you are questioning everything. You are not focused. You are like me when I am golfing. Your results are speaking volumes. Maybe it’s your spouse or your family. You are stuck like I was on the rocks. Maybe it’s life. You want to go fishing like I did… but you don’t want to take the time/money to invest in yourself.